We’ve all heard the stories about ordinary people who one day magically turn their passion projects or side ventures into successful multifaceted businesses. What does it take for these self-made moguls to turn their interests into moneymaking companies? While no definitive how-to guide exists, there’s definitely a set of skills and a certain mind-set that can lead to success. Eager to learn from some of the most successful business leaders around, we turned to seven entrepreneurs to share their wisdom. Scroll down for major career inspiration. The Big Idea: “The wine industry lags a little behind in how it treats its patrons and in its business approach in general," Ragovin says. "I think people responded quickly to Pour This because they felt they could finally access something that has been historically very guarded." 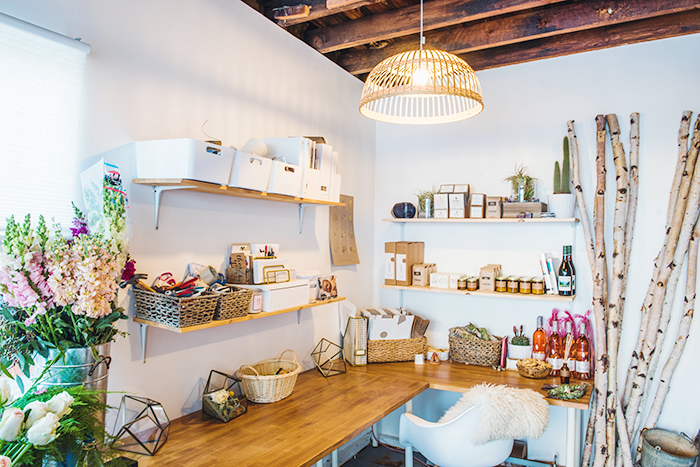 Sugar Paper, an L.A.-based stationer focusing on high-quality handmade stationery, “was a happy accident,” according to co-founders Chelsea Shukov and Jamie Grobecker. Growing up with mothers who taught them the value of a handwritten note, the duo started making stationery for friends. “Before we knew it, we had a business on our hands,” they say. The Big Idea: “I really wanted the catering experience to feel like a good friend was coming over to cook you a delicious meal,” Prendergast shares. Work Wisdom: “There are a lot of distractions, but if you set aside a few hours each day where you strictly focus on your business, you can get a lot done in a little time,” she says. Steve Schwartz founded Art of Tea in the comfort of his living room. He started delivering some of his blends to local L.A. restaurants, but he initially wasn’t sure he should turn his passion project into a full-time business. “I wrote down 21 reasons why I should start a company and landed on one reason: I had a kid on the way,” says Schwartz. Alex Matthews remembers the exact moment the idea for his juice bar came to be: “It was January 2012, and I was standing outside of a juice bar in Hollywood when it occurred to me that I could reimagine the look and feel of the juice experience to be more clean and sophisticated,” he says. Whose work wisdom did you find most inspiring? Tell us in the comments below.